The Buick Regal TourX will be built at Opel's factory in Ruesselsheim, Germany. 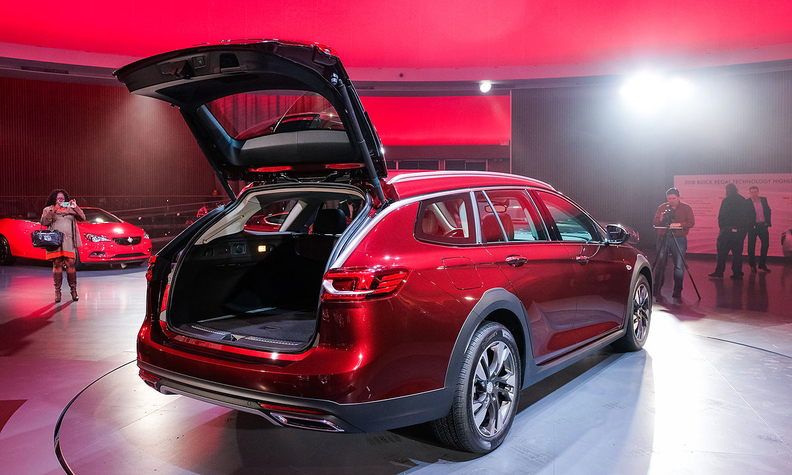 DETROIT, April 4 (Reuters) -- General Motors Co. on Tuesday unveiled a German-made Buick crossover wagon it plans to sell in the United States, and in so doing highlighted the U.S. auto industry's vulnerability to shifting trade politics. 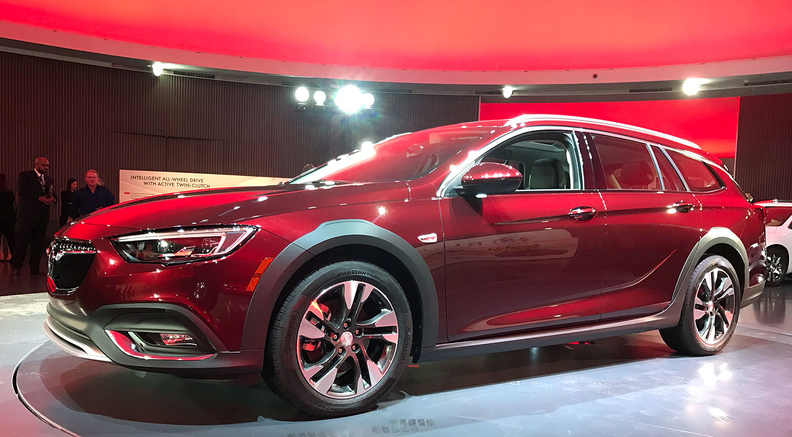 The Buick Regal TourX, scheduled to launch later this year in the United States, is aimed at imported all-wheel drive vehicles such as those offered by Subaru and Zhejiang Geely Holding's Volvo Cars. In a plan mapped out long before the Trump administration and Congress began talking about taxing imported goods, GM planned to build the TourX at an Opel factory in Ruesselsheim, Germany, near Frankfurt. Asked how a potential "border tax" on imported goods could affect the TourX, GM product development chief Mark Reuss told reporters that such a levy might hurt, but added: "I don't know what the border tax is. "How can you make a product plan based on something you don't know?" he asked. Reuss said GM is making plans to deal with a border tax, which could affect not just the Regal TourX. GM imports a Buick crossover called the Envision from China, and has electric vehicles it needs for the Chinese market that it currently builds only in the United States. China levies steep tariffs and taxes on imported vehicles. In a separate interview, the head of GM's North American operations said he is encouraged that President Donald Trump and administration officials are listening as auto industry executives explain the complex, global supply chains behind their model lineups. GM CEO Mary Barra is a member of an advisory council to President Trump. The TourX was one of two new Buick models the brand unveiled at GM's design center in suburban Detroit. The other, the Regal Sportback, offered an unusual hatch opening designed to give a car that looks like a sporty coupe the functional utility of an SUV or crossover. The hatch allows a driver to load cargo onto folded rear seats. Some engineering and production of the Regal and the TourX relied on GM's Opel operations, which are on track to be sold to France's Peugeot Group. Reuss said that sale does not necessarily mean the end of collaboration between Buick and the German Opel operations. "Opel is still doing some of our future models," he said.